Last week in my blog I came down hard on those couples on TV who shop for extravagant homes while displaying attitudes of greed and haughtiness. At the same time I wrote that piece, I wrote another one on the same subject but from a different point of view. I will share it here. My husband is watching one of those “find-me-a-new-home” programs on television. I am down the hall in another room, but I can hear the conversation between the prospective homebuyers and their real estate agent. This childless young couple has budgeted $1.5 million for their new home. They currently own a house that has 3800 square feet of living space and too many amenities to list. They admit their current home is “nice,” but they want to upgrade to a house that is bigger and better. It is easy to be critical of this couple. Are they not merely egotists in search of a spectacular house in order to indulge themselves and impress their friends? 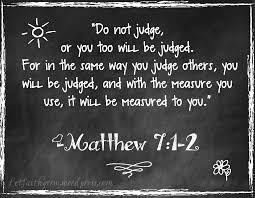 But the passage in Matthew 7 that cautions me against judging other people keeps niggling in the back of my mind. So before I completely write off these two as unredeemable airheads who should be forced to live like ordinary people for a while, I will do a bit of introspection. Do I live like ordinary people? No, I do not, and here is proof. According to www.globalissues.org, at least 80% of humanity lives on less than $10 a day. Some 1.1 billion people in developing countries have inadequate access to water and 2.6 billion lack basic sanitation. Almost 790 million people in the developing world are still chronically undernourished, and nearly a billion people entered the 21st century unable to read a book or sign their names. The lifestyle I enjoy is far above ordinary. Is extravagance a subjective term? Who gets to determine at which point one’s lifestyle becomes excessive? The lifestyle of the house-hunting couple on TV smacks of extravagance to me, but the way I live surely seems extravagant to the people of Haiti. For all I know, the millionaire couple may be more generous with their abundance than I am with mine. Possibly they sponsor a host of children in Guatemala, contribute to the support of many missionaries, and routinely donate large amounts of money to hospitals and other charitable entities. I don’t know that they do, but they very well may. I am answerable only for the way I manage my money. I am not qualified to judge the way other people spend theirs. Gems of wisdom for me for sure, Debbie–thank you! I always need these reminders–especially about the judging. Thanks, Becky. Why is my mind so quick to run toward judging instead of toward understanding and withholding judgment? This blog is right on! We need to leave the judging to Him who loves deeply and can touch souls.